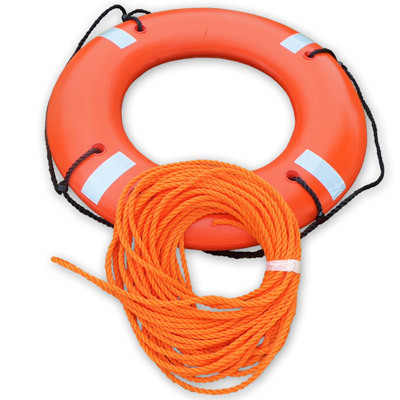 Ideal for USCG approved life rings up to 30-inches, Guardian 30 Life Ring Cabinets protect ring buoys and other throwable PFDs in all weather. The highly visible cabinet is available in red and white or yellow and white and it can be fixed to a pole, wall or rail. 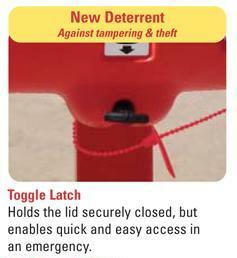 Built-in security features help to deter theft and vandalism, while the unique Ropemaster™ System aids quick and easy deployment of the ring buoy and rope in an emergency. Guardian 30 Life Ring Cabinets are manufactured from corrosion resistant Durapol™ material. This strong, durable material protects the life-saving equipment inside, in the most adverse weather conditions. Its strength of construction and additional security features also prevents theft and vandalism, reducing the frequency of costly life ring replacement. 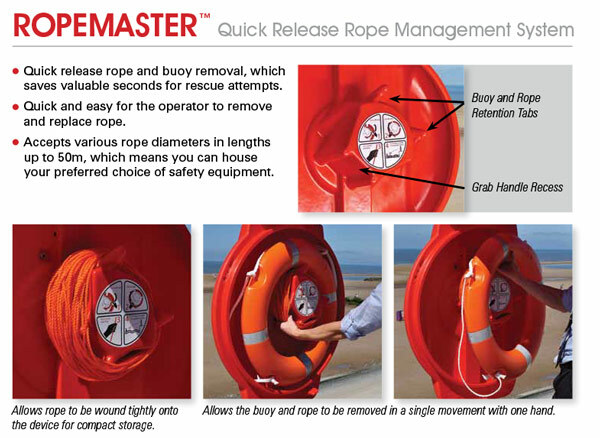 Built-in security and inspection features include: the Ropemaster™ Quick Release Rope Management System which aids the quick and easy deployment of the life preserver ring and rope in an emergency, easy to follow instructions with images, a Usage Indicator for speedy inspection; and Security Seals. To meet ILO safety standards on your site install life ring buoy stations at intervals of 164 feet or at intervals of 200 feet to meet OSHA regulations. 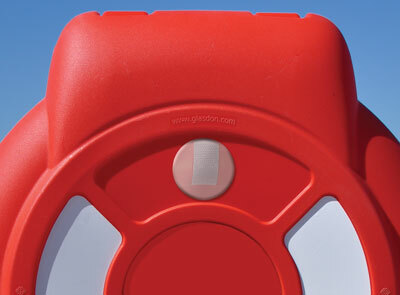 Guardian Life Ring Cabinets are also available for 24" ring buoys and other throwable PFDs. Being a community that listens to their resident’s concerns, Battery Park City is in the process of installing Guardian Life Ring Cabinets along their waterfront. District Wharf, Washington, is a newly renovated waterfront in the Nation's capital that selected our Guardian Life Ring Cabinets as their chosen water safety solution. The East Central Regional Water Reclamation Facility,operated by West Palm Beach, is a water treatment plant located in Florida. The facility proudly serves the City of West Palm Beach, the City of Lake Worth, the City of Riviera Beach, the Town of Palm Beach, and Palm Beach County. We were pleased to collaborate with the plant to help them implement additionallife-saving equipment and improve the safety of their employees. Hoffler Creek is a beautiful 142 acre wildlife reserve which sits at the mouth of the James River in Portsmouth, Virginia and offers environmental education, research and recreation to the surrounding region. The reserve continues its efforts to support local wildlife and is a hot spot for a number of various activities such as hiking, kayaking and oyster gardening. Onondaga Lake near Syracuse in central New York is sacred to the Onondaga Nation and traditionally regarded as the birthplace of the Haudenosaunee, also known as the Iroquois Confederacy. Drawings from the sketchbooks of Leonardo da Vinci from the 16th century contain primitive designs for a diving suit and life ring, but it wasn't until the early 19th century that recognizable life-saving devices began to appear in regular use. 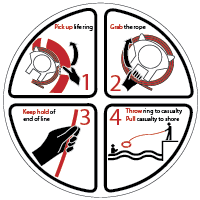 Life rings (or ring buoys) are available in two standard sizes. 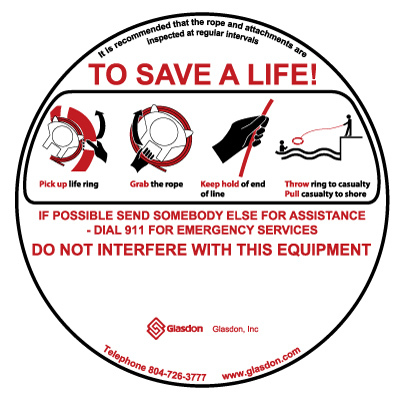 We are often asked "What size life ring do I need?" 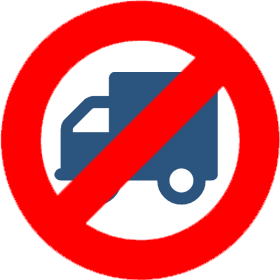 To help you choose the most suitable life ring for your location, we explore the considerations and advantages of both life ring sizes. 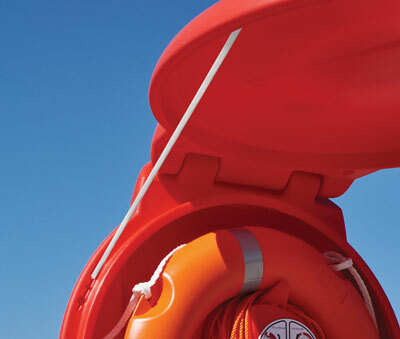 Learn more about how to protect and preserve ring buoys with Guardian™ Life Ring Cabinets.